As you may recall, the Tudor attempts to recover the Mary Rose didn’t go well, and the ship was abandoned, and eventually became lost. It wasn’t until 1836 that anyone had any idea that something was still down there. In June 1836 fishermen began snagging their nets on something on the sea bed. 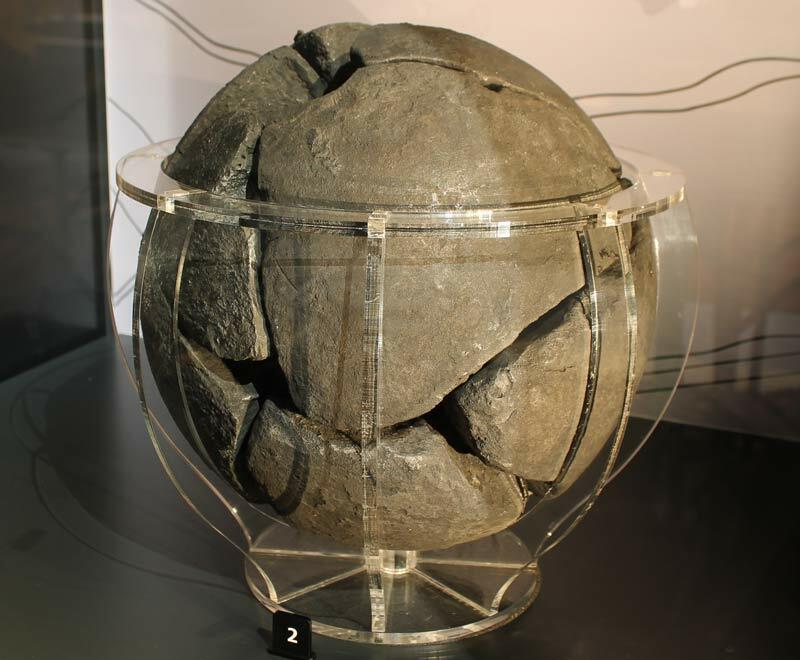 Henry Abbinett, a Gosport-based diver, was hired to investigate, and he would become the first person to see the Mary Rose since there had been a Tudor monarch. It was at this point that professional divers John Deane and William Edwards were brought in. 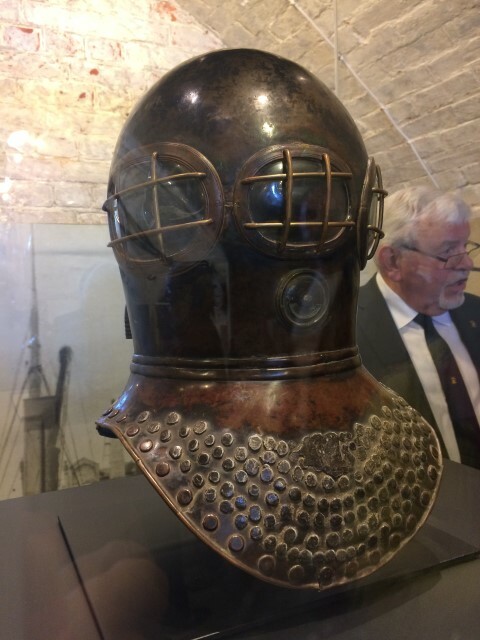 Charles Deane, brother of John, had some years earlier patented a breathing apparatus for use in fire-fighting, which was later adapted into a diving helmet. While this wasn’t the first such device invented , it was more efficient, and gave the Deanes an edge that their competitors lacked. This lead to them picking up some lucrative admiralty contracts, including the salvage of the Royal George, which had sunk about a mile from the Mary Rose wrecksite. They started work on the Mary Rose site on 16th June 1836, and by the 18th July they had located and recovered several timbers, as well as a bronze gun. After reporting this to the Board of Ordnance, they continued investigating the site, where they recovered more guns. The wreck was identified as being the Mary Rose early in August of that year, and it was publicised in the Nautical Magazine. There was some controversy at this point, as various parties staked claims to the Mary Rose site. The fishermen, who had originally snagged their nets, as well as Abbinett, claimed that they should each have the exclusive rights to salvage the site. Abbinett, sadly, was rebuked by the Admiralty, but the fishermen were offered one third of the salvage value of the guns they had helped recover, as well as any others the Deanes recovered. Salvage efforts took a break between 1836 and 1840, but they began with a bang, as John Deane began excavations with the assistance of cast iron bombs. Using this method, he was able to expose a large portion of the hold, which allowed him to recover the base of the main mast. Mary Rose Mania was still going, and it’s sad to say that there was less archaeological interest in the site than financial. Many of the finds were sold off; the mast itself chopped up and made into book covers, snuff boxes and other trinkets. While many of the items are now lost, a few have made it into museums; A German stoneware jug featuring a bearded face is on display in the V&A museum, credited to the Mary Rose dives of the 1840s. 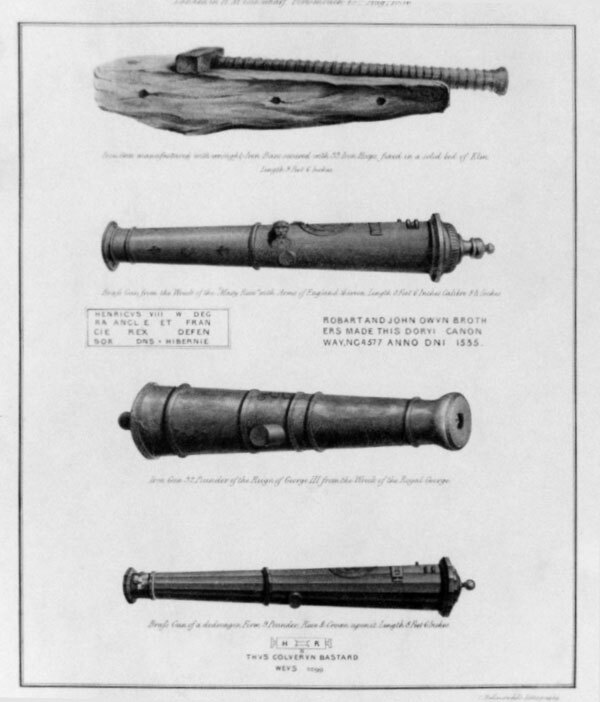 After recovering more guns, some of which are on display in the Tower of London, others in the Mary Rose Museum, the site was abandoned in 1843. As the Mary Rose had been relieved of as much salvage as could be recovered, the site was scheduled for demolition. One source claims that Colonel Charles Pasley, a demolition expert for the Royal Engineers “…destroyed the remains of the Mary Rose… after it had lain sub-merged for nearly 300 years.” His involvement in the demolition of the wrecks of the Royal George and HMS Edgar at the same time would seem to confirm this. However, there are two references that cast doubt on this, suggesting that not only did Pasley not attempt to destroy the wreck, but he never even dived on the site. Yet for some reason, the story of the Royal Engineers destroying the Mary Rose persisted for nearly 128 years until Percy Ackland, a diver on Alexander McKee’s dive team, located several large timbers protruding from the sea bed.